When Is Supervised Visitation A Possibility? | Joyce A. Julian, P.A. When Is Supervised Visitation A Possibility? Timesharing of a child is never easy, even in the best of circumstances, but it can present even greater challenges if there is significant conflict or concern about a parent’s mental stability or destructive/violent behavior. Parents usually share child responsibilities – parenting time and decision-making – more or less equally. This is the highly-preferred method of dividing parental responsibilities because it allows the child to maintain a meaningful relationship with each parent, which is linked with fewer negative consequences for the child following a divorce. This arrangement presupposes that the child will spend a certain amount of overnights with each parent, during which time one parent has complete responsibility for the child’s physical needs and greater authority over decision-making for the child. However, a court is authorized to deviate from this standard if a parent presents a detriment to the child. In this situation, a court has a several options for protecting the child’s wellbeing, including limiting one parent’s time with his/her child to supervised visitation. While this outcome is rare, it does happen, and a story about temporary supervised visitation imposed on a well-known Miami news anchor, during his tempestuous divorce, serves as an example of when a court may be moved to take such a step. His wife has accused him of displaying a violent temper towards her and their two children, and using corporal punishment to punish one child in particular. A discussion of what supervised visitation entails, and the circumstances that could convince a court this type of restriction on timesharing is necessary, will follow below. Supervised visitation involves structuring contact between a parent and child when there are concerns about the child’s welfare. This interaction between the parent and child takes place at a neutral location, and is usually attended by a third party in charge of monitoring the safety of everyone involved. Additionally, this arrangement can be limited to monitored timesharing exchanges between parents as designated locations when there is high amount of conflict or a past history of safety concerns. The third party observer can be someone the parents agree to use, or a person, usually a mental health professional, who is paid to serve in this capacity. The time and duration of the visits can be set by an agreement of the parents or the terms of a court order. repeated violations of the parenting plan, especially withholding the child from the other parent or fleeing the with the child to another state/country to avoid the terms of the timesharing arrangement. 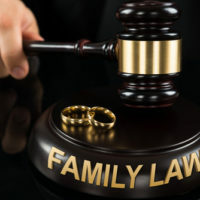 The more a parent can provide evidence of an immediate and well-documented danger posed by the other parent, the better the odds the court will order supervised visitation, but it is still an uphill battle that requires the services of an experienced family law attorney to give a parent a realistic chance of success. Giving your child the best possible environment in which to grow and develop is a big concern for every parent. What this environment looks like often varies from family to family, but striking the correct balance is even more important in divorce. Fort Lauderdale law firm Joyce A. Julian, P.A. has decades of experience with family law matters, and understands how important and sensitive timesharing issues are. If you need an attorney dedicated to protecting your family’s interests, contact the firm of Joyce A. Julian, P.A. for a free consultation.